Add-On Groups are used entirely for aesthetic reasons, to make a very long list of extras appear more manageable to your customers. Group names will not show on the order sheet. 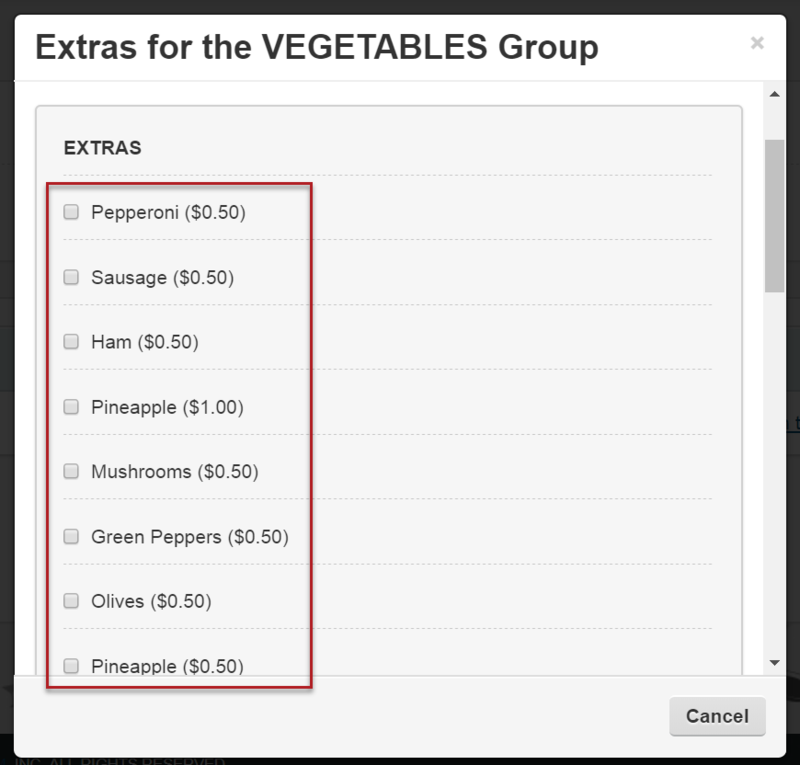 Ex: Here you see Extras Groups that have been created for Meat and Vegetables, helping to divide things up so they are easier for customers to find. 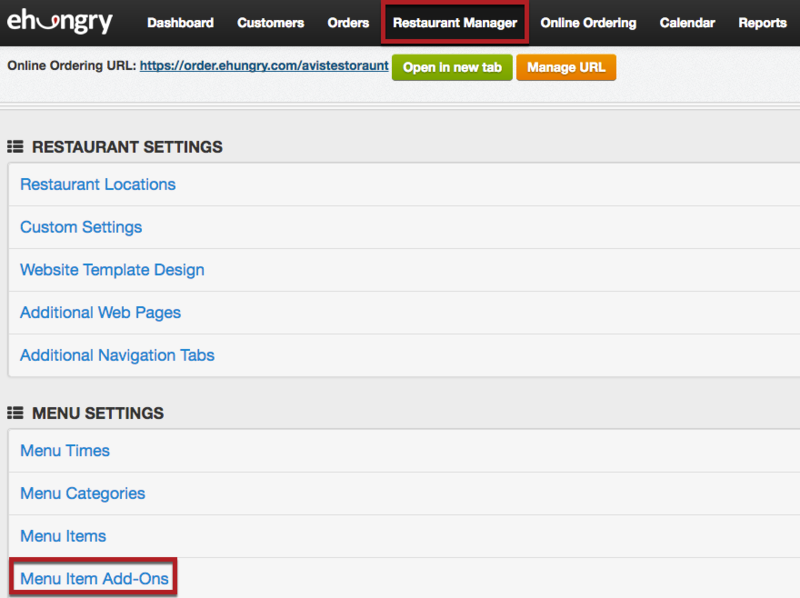 In your Online Ordering Console, you can creat add-on groups by selecting Restaurant Manager from the main menu, and then selecting Menu Item Add-Ons under the MENU SETTINGS heading. Here you can click on the link for which type of group you want to create. Once you've selected the type of group you would like to create, enter the display name and click Save This Information. Next click Assign/Remove Add-ons in this Group. 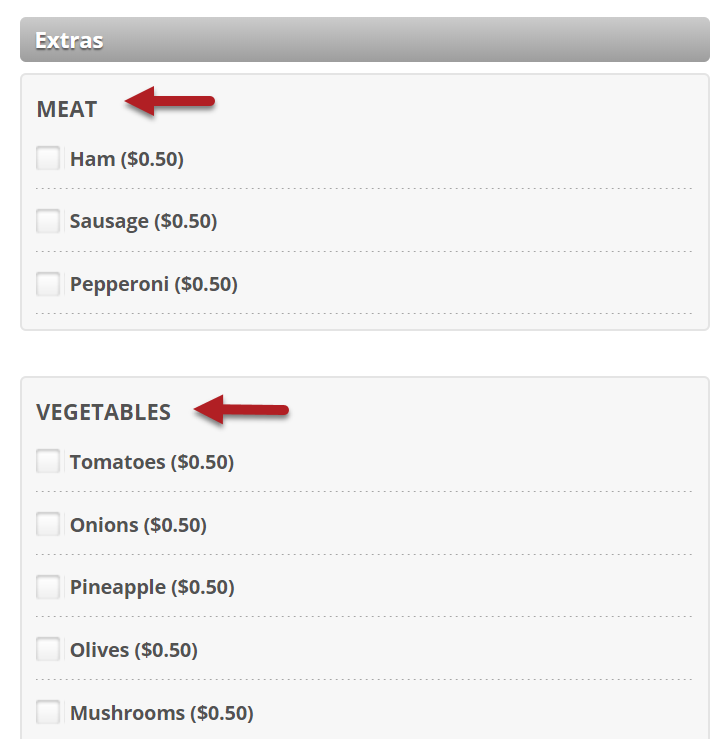 Here you can select which items you would like to include in the group. Once selected, they are automatically saved into the group. To exit the pop-up below, click the X in the upper right corner or click "close" to simply close the pop-up. Note: Each item can only be included in one group. So if you assign it to a second group it will be automatically removed from the first. You can change the sort order of your Groups by entering the numbers in order of how you want them to appear and clicking Save Sort Order Changes.